There are some things that as an adult you may still say no to— those anchovies on your pizza, that liver staring at you from the kitchen table, and maybe even boiled Brussel sprouts. And although all of those are worth saying no to even as an adult, there are some other things— like LASIK eye surgery— that you may not know when or if you should say no to. Here are a few scenarios in which we will recommend another vision route. If you have an autoimmune disease like lupus, then you may want to back away from the thought of getting Lasik eye surgery. Although Lasik eye surgery is a fast, easy, and effective way at restoring most people’s vision, if you have an autoimmune disease, it may put you at a higher risk of eye complications like dry corneas, corneal ulcers, corneal melts, corneal thinning, keratitis, scleritis, and more. Another reason why we may recommend that you take a different route than LASIK eye surgery is if you have glaucoma. Although LASIK is safe for most patients, we do use a suction device when we are making an incision to create the corneal flap which can increase your intraocular pressure— a no-no to anyone who has glaucoma. If you have keratoconus (a condition that can result in progressive deterioration of your vision and thin of your cornea— or if you have a family history of this eye disease, then we may encourage you to refrain from getting LASIK or any other eye related surgery. During your initial Lasik consultation with Papale Eye Center, we will go over your medical history, family history, and any eye related issues that you currently have to help us determine if you are a good candidate for Lasik or not. If you are ready to take the next step in learning more about Lasik, schedule your consultation at our Springfield office today: (413) 782-0030. 1,2,3 Smile! It’s that time of year— you know, the time of year when you have to practically bribe your children to sit still and smile for your holiday photos. Holiday photoshoots may as well be considered torture when you think about it: not only do you have to get everyone ready, you have to plan a location and wardrobes, and show up looking good yourself. If you wear glasses, you may be dreading sending out yet another holiday card with your glasses being front and center. Luckily, with corrective vision surgery like Lasik, we at Papale Eye Center can help you get rid of your glasses for good and be the shining star of your holiday card. Lasik is a refractive surgery that is used to treat patients who suffer from a variety of vision problems including nearsightedness, farsightedness, and astigmatism. During this brief, in-patient surgery, one of our doctors at Papale Eye Center will make a tiny cornea slit. After which, one of our surgeons will use an excimer laser to sculpt the corneal tissue which helps to restore your vision. One of the first questions you probably have about Lasik is how long it takes to recover. Aka, “Will I be healed and ready for my photoshoot?” Your eyes start to heal immediately after surgery, and we will schedule an appointment for you to come back into our office about 24-48 hours afterward to ensure that you are healing properly. Additionally, after a few days, the redness in your eyes should go down which means that most patients should be picture ready in about one or two weeks. Standing in front of the camera with clear vision and confidence can turn your holiday cards from normal into fabulous. Schedule your Lasik consultation at our Papale Eye Center office today! The entire eye care team at our practice believes in helping the people of Springfield see the world in a different light. Thanks to advanced laser eye surgery procedures like LASIK, people are able to see fine without the need for prescription glasses or contact lenses. But seeing the world also means having a different outlook on your future. Sometimes getting LASIK can help put some other habits in life into perspective. 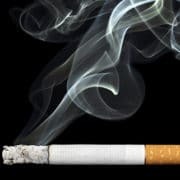 With this in mind, we would like to consider how cigarette smoke impacts LASIK patients, particularly after the surgery. It’s important that patients listen to our advice, since it can help avoid problems and improve the overall results of LASIK surgery. Smoking is bad for you, that’s a given. It can lead to cancer, lung disease, heart disease, and so many other health problems. What’s more, it can also have an adverse impact on you as you are healing. People who smoke are more prone to infection and tend to heal slower than non-smokers. Combining these issues could lead to serious problems after you have undergone LASIK surgery. As noted above, the primary complication to worry about is infection. Since it takes longer to heal after surgery, the risk of infection increases as you recover. While the surgical procedure is safer now than ever thanks to advanced technology, smoking while you heal can be the cause of a post-op complication, such as a corneal flap issue or corneal flap inflammation. Apart from the risk of infection, smoking can exacerbate post-surgical side effects. Your eyes will be particularly sensitive after LASIK, and the smoke from cigars and cigarettes can be extremely irritating. This can cause your eyes to water or, if you experience dry eye after surgery, can lead to severe discomfort of the eyes. Before you undergo LASIK, it’s important that you avoid cigars, cigarettes, and other tobacco products. This will help put your body in the best condition to recover quickly. Keep in mind that this is a common pre-op instruction given to all patients. After LASIK, you’ll want to avoid smoking for a few weeks so your eyes can full heal. This is just playing it safe and making sure that you will not trigger any serious attacks of dry eye or major eye irritation. After undergoing LASIK, a number of people feel that it’s a good excuse as any to finally kick the habit for good. By quitting smoking, you avoid so may health problems and can really enjoy what the world has to offer. If you need help quitting, we can provide you with information and direct your to resources that can help make this a reality. For more information about LASIK and how it can improve your vision and overall enjoyment of life, be sure to contact our laser eye surgery center today. The team here looks forward to your visit and discussing these issues in greater detail. At the Papale Eye Center, we are often asked whether there is a “right” age to undergo LASIK. Some patients are concerned that they may be too old to benefit from LASIK, while others wonder whether LASIK might be appropriate for their teenaged children, perhaps as a gift for graduating from high school. We answer them that as long as a patient is at least 18 years old, age doesn’t really factor into a person’s candidacy for LASIK. However, it might influence their results, an issue that we cover as we discuss LASIK and patient age during consultations at our Springfield, MA eye care center. Dr. John Papale is careful to evaluate potential candidates for LASIK to ensure that they can undergo the procedure safely before approving them for surgery. This evaluation is essential to promoting the best possible outcome, regardless of the patient’s age. If you would like to discover whether you are a good candidate for LASIK, and you are at least 18 years old, we encourage you to schedule your initial consultation with Dr. Papale at the Papale Eye Center today. The U.S. Food and Drug Administration has approved the use of the excimer laser in LASIK for patients who have reached the age of 18. This does not mean, of course, that a person necessarily becomes a good candidate for LASIK upon reaching his or her eighteenth birthday. The FDA has approved LASIK for patients of this age because most people’s eyes are fully developed by the time they reach 18. However, this is not true of all people. Some people’s eyes continue to develop well beyond their eighteenth birthday, into their early twenties. If these people had gotten LASIK when they were 18, there is a good chance that the results they had achieved would have been largely undone by the time they reached 25. Dr. Papale carefully examines the eyes of his younger patients to confirm that they have fully matured before allowing them to undergo LASIK. If he feels that a patient will benefit from waiting a year or two before undergoing the procedure, he will advise him or her honestly of this fact. Age does not preclude seniors from undergoing LASIK. Many patients in their sixties and seventies have undergone the procedure with good results. However, in order to be considered good candidates for LASIK, senior patients must have healthy eyes, free from ocular disease and age-related vision problems. 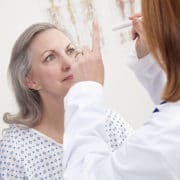 If they have cataracts, even if they aren’t yet affecting their vision, they should first have their cataracts removed and their natural lenses replaced with multifocal intraocular lenses, or IOLs. This surgery alone may restore their unaided vision at all distances, making LASIK entirely unnecessary. If you would like to learn more about the connection between LASIK and patient age, or you wish to make an appointment with Dr. John Papale, please contact the Papale Eye Center today. Most patients consider laser eye treatment to be the new standard when it comes to treating vision impairment. In the past, patients had to rely on glasses or contact lenses to improve vision that was affected by nearsightedness, farsightedness, or astigmatism. Today, there are options that provide longer-lasting results with greater convenience. Most patients are familiar with LASIK treatment to reshape the cornea and enhance natural vision, but this is not the only type of eye treatment for refractive errors. 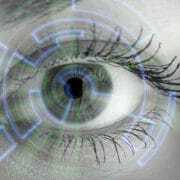 Patients may also consider ICLs, implantable contact lenses. Both of these treatments can help patients achieve 20/20 vision or better, without the need for removable prescription lenses. The eye doctors at The Papale Eye Center discuss ICLs vs. LASIK with our Springfield, MA patients so we can help them decide which treatment option is best for them. LASIK is the most popular form of laser vision correction and the one that the majority of patients are most familiar with. 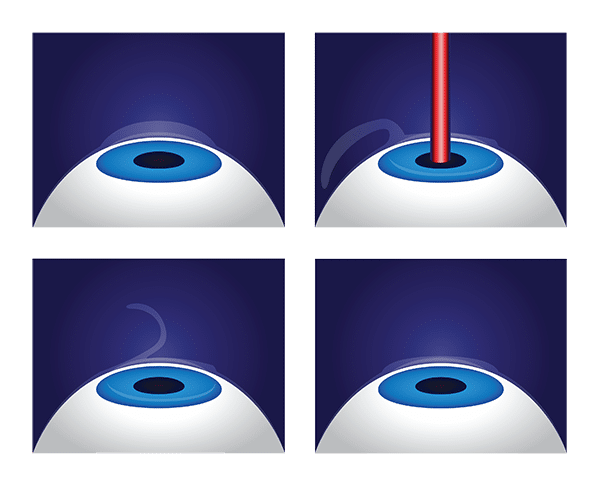 LASIK is a proven technique that improves vision by addressing the source of the problem – imperfections in the cornea. During LASIK treatment, a small flap is made in the surface of the cornea. After lifting this flap, a powerful and precise laser is used to reshape the corneal tissue in order to eliminate imperfections and allow light entering the eye to be properly focused. The success rate of LASIK surgery is high, with most patients no longer needing glasses or contact lenses. Additional benefits of LASIK include the long-lasting results, the minimal risks associated with treatment, and the relatively quick recovery period. ICLs, or implantable contact lenses, are a vision treatment that many patients don’t know much about. However, it is a procedure that can be just as effective as LASIK, and may be an ideal option for patients who are considered poor LASIK candidates. 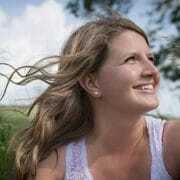 ICL treatment is different from LASIK in that it does not involve the reshaping of the cornea. Instead, a contact lens is placed inside the eye, between the iris and the natural lens of the eye. This lens corrects vision so that patients no longer have to rely on glasses or removable contact lenses. The implant can stay in place indefinitely to provide patients with long-term vision improvement. Benefits of ICLs include the effective results, the ability to improve vision without creating a corneal flap (one of the leading sources of concern regarding LASIK surgery), and the fact that the lens can be removed should the eye experience any dramatic visual changes. There are many factors that should be considered when determining which eye treatment is right for each patient. In some cases, the decision may come down to a matter of preference, while in others, the health of the eye may determine which technique is most appropriate. LASIK and ICLs both offer their own unique advantages, so the best way to choose a treatment that works for each patient is to schedule a consultation with an experienced eye doctor such as those at The Papale Eye Center. If you are interested in learning more about eye treatment, contact us at your earliest convenience. The experienced eye doctors at The Papale Eye Center will be happy to answer any questions you may have about LASIK, ICLs, or any of our other vision correction services. Most common vision problems are classified as refractive errors. Normally, your cornea should bend light so that it focuses in the center of your retina. If you struggle with refractive errors, the unusual shape of your cornea will cause light to focus elsewhere inside your eye. As a result, you may experience blurred vision, double vision, glares, or many other symptoms. There are actually two main categories of refractive errors: higher order and lower order aberrations. LASIK can be a highly successful treatment for lower order aberrations. With innovative new technology, it can often be a good option for higher order aberrations, as well. Our team will evaluate your needs and visual acuity. Then your doctor can determine the most effective way to restore your sight. To learn more about higher vs. lower order aberrations, contact our Springfield, MA practice today. What Are Lower Order Aberrations? Nearsightedness: If you suffer from nearsightedness, or myopia, light will focus in front of your retina. As a result, you will be able to nearby objects clearly. However, objects at a distance will appear blurry. Note that nearsightedness is different from age-related presbyopia. Farsightedness: Farsightedness, or hyperopia, is less common. With this condition, light will focus behind your retina. You will be able to see far away objects, but you will need reading glasses for anything close up. Astigmatism: Astigmatism will cause light to focus in multiple places in your eye. Without corrective lenses, objects at all distances will appear blurry. 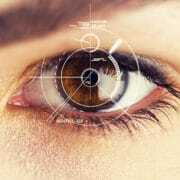 Can LASIK Treat Both Higher and Lower Order Aberrations? LASIK is suitable for most patients with lower order vision aberrations. If you choose this treatment, Dr. Papale or one of the members of his team will create a thin flap in the surface of your cornea. Then, using an advanced excimer laser, he will reshape these tissues. After surgery, your eye will be able to focus light correctly, and it will land in the center of your retina. Thanks to the advent of WaveFront technology, LASIK is now suitable for many types of higher order aberrations. With the Wavelight Allegretto Wave® Excimer Laser System, the laser will be precisely calibrated to your eye. Dr. Papale will also adjust the laser to match your cornea, using extra bursts of energy to compensate for its irregular shape. Although LASIK is now appropriate for a wider range of patients, it is not suitable for everyone. At your free consultation, your doctor can determine whether laser eye surgery may be right for you. Contact our office today to book your appointment. When a product boasts that it is “new and improved,” it doesn’t always mean that its previous version was “old and inferior,” though that may be the implication. Indeed, in the case of LASIK, conventional LASIK has been one of the safest and most successful surgical procedures in the history of medicine since the FDA approved the excimer laser for use in the surgery in the 1990s. It is still performed with excellent results. However, in the case of custom wavefront LASIK, “new and improved” really is an accurate description. Custom wavefront LASIK offers a variety of benefits that distinguish it as the premier laser vision correction option currently available. At Papale Eye Center, we are pleased to describe the many wavefront LASIK benefits to patients during consultations at our Springfield, MA eye care center. We want our patients to understand precisely what they are paying for, and how the technology we feature at our practice was chosen with their best interests in mind. Are you a good candidate for custom wavefront LASIK? To find out for yourself, please schedule your initial consultation with Dr. John J. Papale today. Our wavefront mapping technology allows us to make a map of the eye so intricate that it can detail even the tiniest imperfections in the surface of the cornea. Before the introduction of the wavefront mapping device, it was impossible to detect these minute flaws. As a result, it was also impossible to address them, whether through eyeglasses, contact lenses, or LASIK. 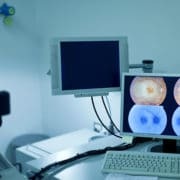 Eye care professionals could measure and correct more universal errors, namely shortsightedness, farsightedness, and astigmatism; however, these unique, highly individual errors – clinically known as higher-order aberrations – were beyond the measure of then-current technology. Wavefront technology maps these errors, and this map is subsequently used to guide the excimer laser used to reshape the cornea during LASIK surgery via a sophisticated computer program. Hence, modern LASIK is able to correct both higher-order aberrations and common visual errors. What Are the Benefits of Custom Wavefront LASIK? Exceptional precision: Wavefront LASIK is entirely computer guided, minimizing the risk of human error. Lower risk of complications versus traditional LASIK: Because wavefront LASIK accounts for higher-order aberrations, it is less likely to induce new higher-order aberrations; therefore, the risk of post-surgical complications such as halos, starbursts, and impaired night vision is reduced. Higher chance of visual independence: By addressing even the tiniest imperfections in the shape of the cornea, wavefront LASIK increases the odds that the patient will be able to see clearly without glasses or contact lenses. More customized treatment: Wavefront technology allows for a truly customized LASIK treatment. Instead of simply reshaping your cornea according to your eyeglass prescription, your cornea will be reshaped according to a finely detailed map of its surface, its slightest flaws accounted for. To learn more about the benefits of custom wavefront LASIK, please contact Papale Eye Center today.